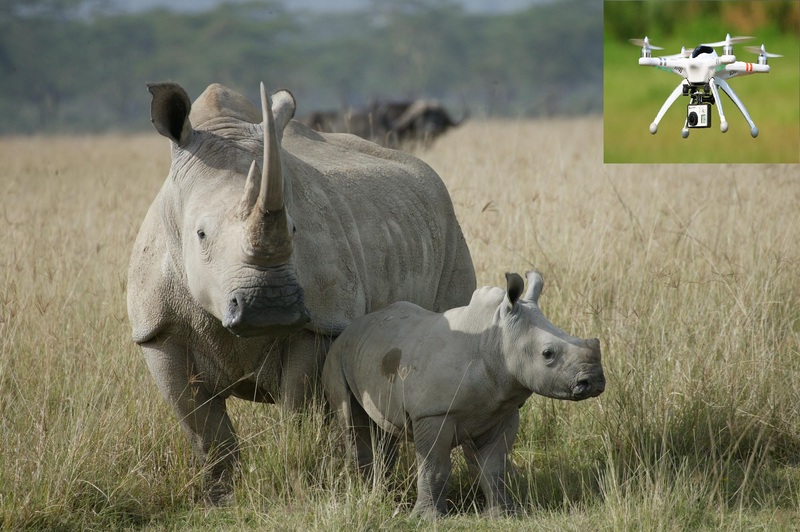 A company from Raglan, New Zealand, has designed drones tasked with protecting endangerd southern white and black rhinos in South Africa. 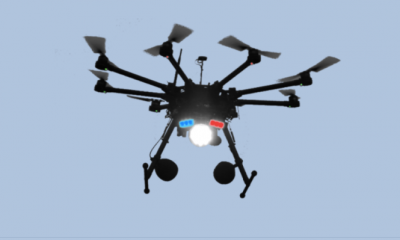 The company, Aeronavics, specializes in producing aerial robots for a variety of purposes including mapping, surveillance, agriculture or media. 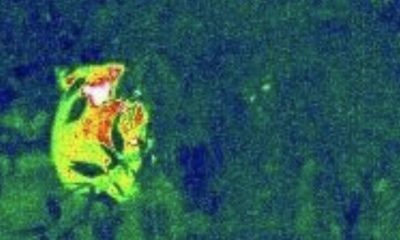 Several years back Aeronavics was approached by the Tusk and Horn Wildlife Trust about coming onboard and using their UAVs to help combat illegal wildlife poaching in South Africa. Since first becoming involved a year and a half ago, the company have worked on prototypes that can effectively operate at night to monitor for the presence of any poachers. Once a drone detects the presence of a poacher, the drone operator can alert the rest of anti-poaching team to dispatch to the location of the hunters asap. The model Aeronavics believe is most fit for the anti-poaching purpose is a quadcopter capable of flying for 45 minutes. It can also withstanding strong winds or other adverse whether conditions without losing connection to its operator. The company’s director, Linda Bulk, was interviewed on New Zealand radio and spoke of how the company was looking to extent the flight range of their drones from current range 4-5 kms (2.5 – 3.1 miles) to an eventual 100km (60 miles). One of the drone prototypes being used by an anti-poaching unit in South Africa. 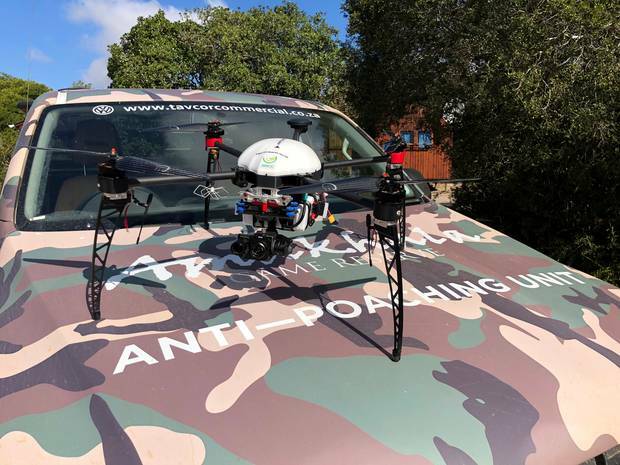 In preparation for creating this drone, Aeronavics’ staff were given the opportunity to fly to South Africa to see the negative impact of poaching themselves. 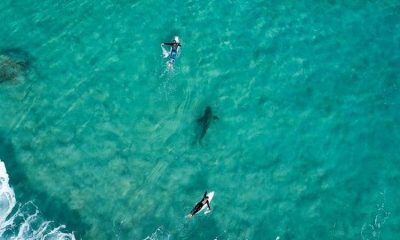 “It was heart-wrenching to see this magnificent creature lying helplessly on the ground, sedated but aware, as his pride and glory, his defining feature, was sawn of his head,” she told the New Zealand Herald. The most recent figures available estimate there are 18,000 Southern White rhino and 5,500 black rhino still living in the wild. Slightly more than 1000 rhinos were illegally hunted and killed in South Africa last year. South African rhinos are sought out by poachers due to demand coming from the thriving illegal rhino horn trade in China. Rhino horns from the present day are often fraudulently sold in antique shops as an old product. The horns are also ground up in the mistaken belief that they possess healing powers. Such is the scale of the illegal rhino horn trade that in order to save rhinos lives, some wildlife parks are sedating the rhino and chainsawing their horns off to deter poachers. Aeronavics are now working on a strategy to make it feasible to deploy drones on a wider scale. To read more about ways drones are working for good, check out this story about how drones are helping combat plastic pollution on beaches. You can also learn about an amazing documentary called Elevation which examines all the profound ways drones are changing the world.